SUVs are becoming more popular in the automobile industry. A few years ago, SUVs were only available in large size. 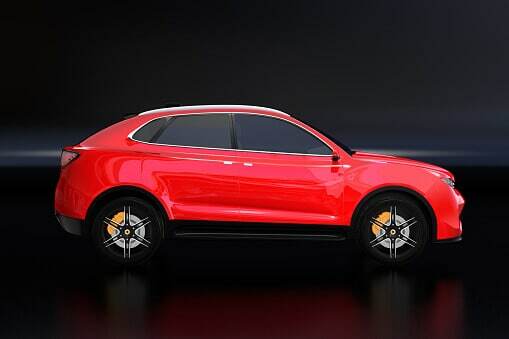 Today, however, the increasing demand has necessitated the introduction of a wide variety of the SUV concept. The midsize SUVs, for instance, lies between full-size and compact and this provides buyers with an excellent vehicle option. That’s why today we’ll look at the Best Luxury Crossover SUVs Under $40,000. Midsize SUVs offer extra cargo and passenger space compared to compacts. Many of them come with a V6 engine for added torque and power, despite the increasing popularity of 4-cylinder turbocharged engines. Whether you are looking for high-end boulevard cruising or off-road travel, midsize SUVs can execute a variety of purposes depending on their specification and model. What are the best rated crossover SUVs? In the year 2017, approximately 57% of all luxury vehicles sold were SUVs. Manufacturers are researching and availing new models to satisfy the growing demand, which has been attributed to the SUVs fuel economy. An SUV offers excellent benefits such as big and flexible cargo space, all-wheel drive, and a sublime driving position. Many luxury car fanatics appreciate these factors which explain why they are purchasing SUVs regardless of the price. Luxury SUVs are different compared to the non-premium cars. For instance, they come with superior structural quality and interior materials. Many of them provide soft suspensions specially designed to move smoothly even on bad roads. Power trains transform the fuel guzzling vehicle series into extremely robust 12-cylinder engines complete with numerous automatic transmissions. Further, owning a luxury SUV comes with ultimate prestige. Searching for the ideal luxury vehicle however, can be an arduous task. If you are yearning to venture into the SUV world, purchasing a small crossover SUV can be cost-effective. Unlike the standard SUVs, these luxury crossovers come with elegant interiors, can be customized, and offer more features. Some of them come with a prestigious badge which buyers can get for an extra price. The demand for luxury SUVs has continued to increase with the growing popularity of the crossover vehicle. These have merged and resulted in the luxury crossover SUV. The second generation RDX comes with a 3.0 liter V6. While some car fanatics will prefer driving the first generation turbo, the RDX can be enhanced with advanced technology. Rather than the conventional front wheel drive, you could upgrade the RDX to all-wheel drive for $1,500. The vehicle comes with an extensive cargo capacity of 79.9 cubic feet. This makes it one of the most efficient compact luxury crossovers. However, a partitioned exterior structure and the cheese slicer grille common with Acura may not appeal to everybody. The RDX starting price is $35,370. The BMW compact X1 crossover is the smallest in the BMW sports activity vehicles (SAV). This car comes with the signature BMW xDrive all-wheel-drive system, a standard automatic 8-speed transmission, and a 228-hp, 2.0 liter 4-cylinder twin turbo engine, giving you a maximum driving experience that is only familiar with BMW enthusiasts. You can get all-wheel for an extra $2,000, though this is optional. The front seats have a wide leg area. However, they may not be ideal for long trips. The X1 has a lane departure warnings and an automatic standard emergency braking. Its outward vision is also excellent. Each X1 comes with 18-inch wheels, a 6.5-inch advertorial screen, Apple CarPlay compatibility for a year, and Bluetooth connectivity. Many X1 owners will probably not renew their Apple CarPlay especially because they are spending huge amounts of money on their phones. The X1 starting price is $36,000. The Q3 offers expansive utility in a limited package. Q3 features a variety of the Audi family structural cues while delivering a legitimately sporty ride. A 2.0-liter 4-cylinder turbocharged engine and an automatic 6-speed Tiptronic transmission power it. In terms of interior design, the Audi is a favorite of many luxury car enthusiasts. Its dashboard has a modern yet simple layout complete with excellent quality materials, a good fit, and finish. Cadillac released the XT5 crossover in the year 2017. Its replaced the SRX. according to Cadillac, the new name stands for Crossover Touring is fixed to a new vehicle complete with numerous quality feature. The XT5’s handling and performance are more robust compared to the SRX. XT5 is a front wheel but that does not compromise its performance. You can get the all-wheel option for a higher price starting at $48,375. The vehicle whose starting price is $39,990 comes with an elegant interior and a spacious rear passenger area. These factors resonate well with luxury vehicle buyers who adore comfort. Suggested read: Are you thinking of getting a luxury truck under $40k? Infiniti renamed its SUV lineup in 2014 when the QX56 was upgraded to QX80. The QX50 was previously known as EX is the company’s compact crossover. It comes with quality rear wheel drive which makes driving it fun. You can add all-wheel drive for an extra $1,400 especially if you live in snow-prone areas. The modern 2019 Infiniti QX50 was specially designed with the buyers in mind. All the features, extra inches, and innovations are structured to enhance, inspire, and fulfill the ultimate potential of luxury car enthusiasts. It comes with a variable turbo compression engine which offers you a combination of eco-friendly efficiency and sports car performance on demand. These collaborate to augment and satisfy your desires. Further, it offers a more robust drive and comes with various innovative features such as the first-hand steering aid which keeps drivers focused on their lanes regardless of the nature of the road. The distance control aid helps maintain the distance between vehicles while in traffic. The starting price is $36,550. The Denali line from GMC upgrades the company’s professional-grade vehicles to the luxury classification. The Terrain gains from this and shares the same platform with the Chevrolet Equinox. It comes with LED running lights and chrome accents. The Terrain interior is a clear indication that technology played a major role in its advancement. With excellent safety and entertainment features, the Terrain Denali is the ultimate purchase for the luxury and comfort-oriented buyers. The vehicle features ventilated perforated leather power front seats which differentiate the Denali from a standard Terrain. Still, you can get an all-wheel-drive V6 powered Terrain Denali for less than $40,000. The 2016 GMC Terrain Denali starting price is $34,175. The 2018 second Terrain generation comes with an upgraded rear view camera for 8-inch touchscreen cars. If you buy this car, you will experience added comfort and enhanced interiors. It also comes with intuitive and easy to utilize touchscreen interfaces. This model is available for up to $39,500 depending on where you purchase it. The launch of discovery sport followed the elimination of the LR2 and the Freelander from the land rover’s stable in the year 2015. The vehicle is among the few available compact luxury crossovers that come with a third-row seat, often designed for young adults or children. It has a standard four-wheel drive regulated by the terrain response system by Land Rover. Discovery sport is one of the most robust off-road vehicles in the automobile world. Whether you want to utilize it for off-road or on road drives, this vehicle’s prestigious interior guarantees that all the passengers and their cargo a comfortable and stylish arrival. The starting price is $37,455. The MKC is the smallest crossover in the Lincoln’s stable and is classified in the same category with the Ford Escape. Both the Lincoln interior and exterior design features differentiate the MKC from its Ford counterpart with elegant upscale interior, a trademark lighting package, and a magnificent grille. The NX was first released as a model in 2015. It was the first of its kind with a 4-cylinder turbocharged power plant. The vehicle is a compact crossover that gives it excellent on-road performance. It comes with quality front-wheel but you can get an all-wheel drive for an extra $1,400. The GLA class offers an affordable driving experience in the Mercedes Benz luxury SUVs. it is classified in the same compact driving characteristics and high structural design with its more expensive and bigger counterparts. The GLA_Class gains from numerous optional and quality Mercedes Benz advancements such as lane keeping aid, radar-based collision prevention aid, Distronic plus cruise regulator, and attention aid. It retails at a starting price of $32,500. However, you can spend much more to get a 375 hp and an exclusive 3-pointed star. For this, you will need $49,580. If you are considering purchasing a luxury crossover SUV, begin with one of the above models under $40,000. Many of them will give you a maximum experience you will not want to blow your money on a new one.